Whomp whomp. 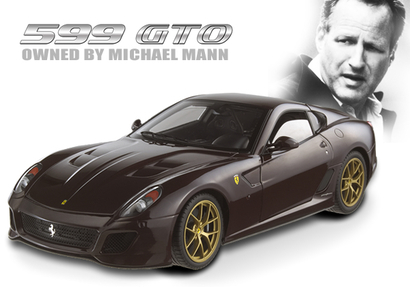 There're no 599 GTO OWNED BY MICHAEL MANNs for sale. The 599 GTO is Ferrari's fastest road car ever. It is the new pinnacle of Prancing Horse sportiness and has benefited to an enormous degree with technological transfers from the track. It's an exclusive limited edition vehicle and represents a completely new concept.